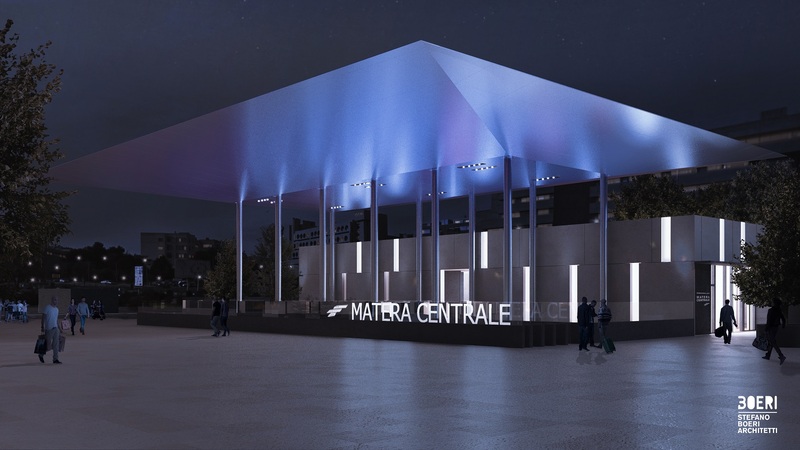 “A team work that allows to win a challenge against time and leave to the City of Matera a tangible mark, a project having a great architectural and symbolic value, because the new FAL station of Matera, conceived and designed by architect Stefano Boeri, in 2019 will be the visiting card for the tourists of Matera capital of culture, but the i twill remain as an architectural work and an infrastructure symbol of a working public company”. 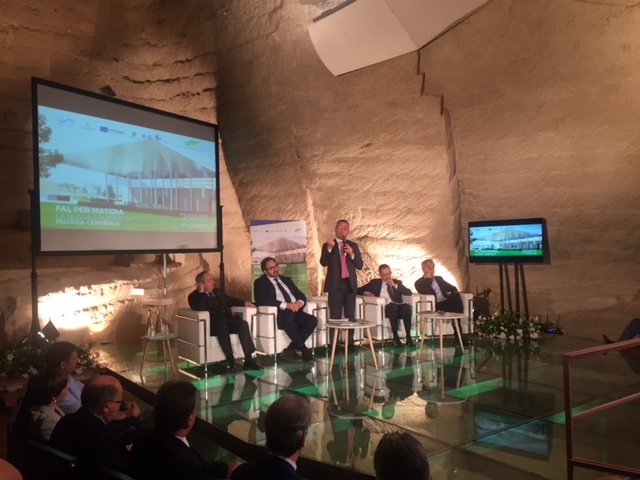 This was said by the President of Ferrovie Appulo Lucane, Matteo Colamussi, who has presented at Casa Cava the project of the new FAL station of Matera centrale realized by architect Stefano Boeri with the funds of the PO FESR Basilicata 2014-2020 at the Region’s disposal. 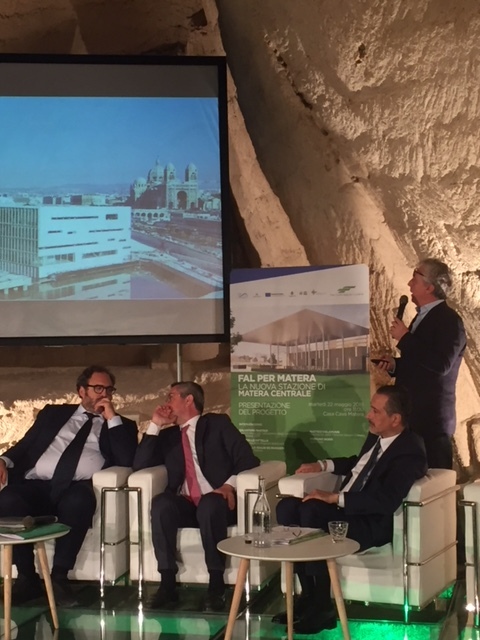 In attendance the Mayor of Matera, Salvatore De Ruggieri; the President of Region Basilicata Marcello Pittella; the coordinator for the interventions of Matera 2019, Salvo Nastasi; architect Stefano Boeri who has illustrated the project in detail. 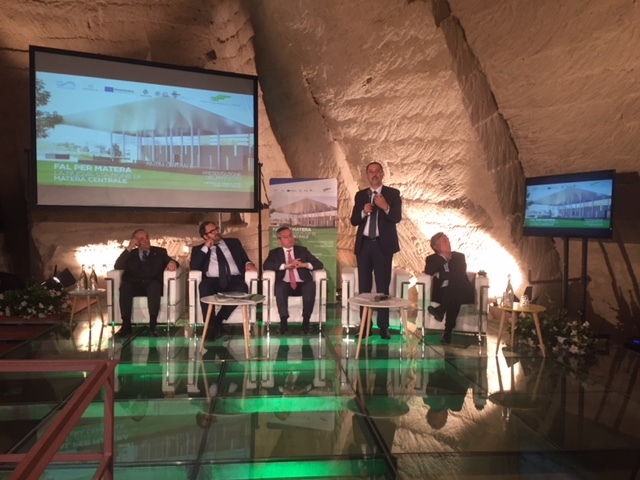 “The synergy with the City of Matera in the choice of architect Boeri – has added Colamussi – with Region Basilicata that has put a tour disposal the fundings on last October in a very short time; with the coordinator of the interventions for Matera 2019, Salvo Nastasi who has worked as coach, putting all of us around a table, allows us to be today already in the phase of contract and to start at the end of the month with the works. 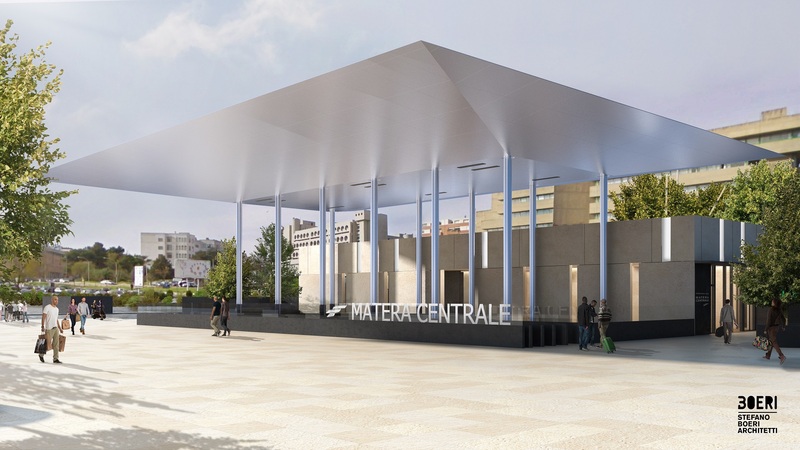 FAL for Matera is not only the new Stazione centrale, we have a yard open for 15 kilometres of laying of a second railway line with the aim to reach, in 2019, the travel times of one hour of a bit less from Bari”. 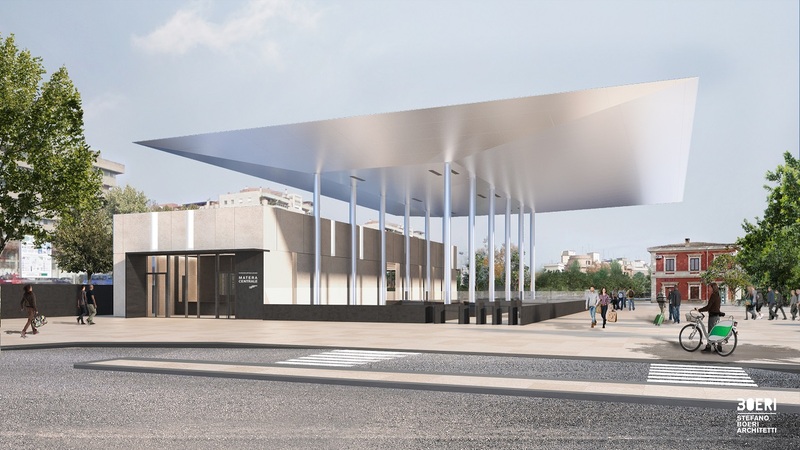 The new station will be a public space usable by citizens and travellers, with a big shelter illuminated by iridescent lights; the intervention consists in the restoration with functional requalification of the station and of the relevant technological and railway material, and also in the realization of a new space for reception and services. A big opening will be realized in the attic of the old station, allowing aeration and lighting. The work will be realized in two steps starting from June 2018 and will be completed in May 2019. Boeri has also presented a simulation on which the Municipal Administration will work for the arrangement of green and street furniture.